From a lack of roles on mainstream television to the 25-year gap between The Joy Luck Club and this year’s Crazy Rich Asians (the most recent major movies to feature majority Asian American casts), Asian American representation in media and the arts continues to lag. Media studies show that Asian American experiences are often absent from screens, galleries, and theaters, or flattened to stereotypical, one-dimensional portrayals. This fall, Tsai CITY and the Asian American Cultural Center at Yale (AACC) teamed up to encourage Yale students to apply their creativity to addressing this issue. The Arts & Media Innovation Awards, comprised of five $500 grants, aim to encourage art and multi-media explorations of Asian American identity. 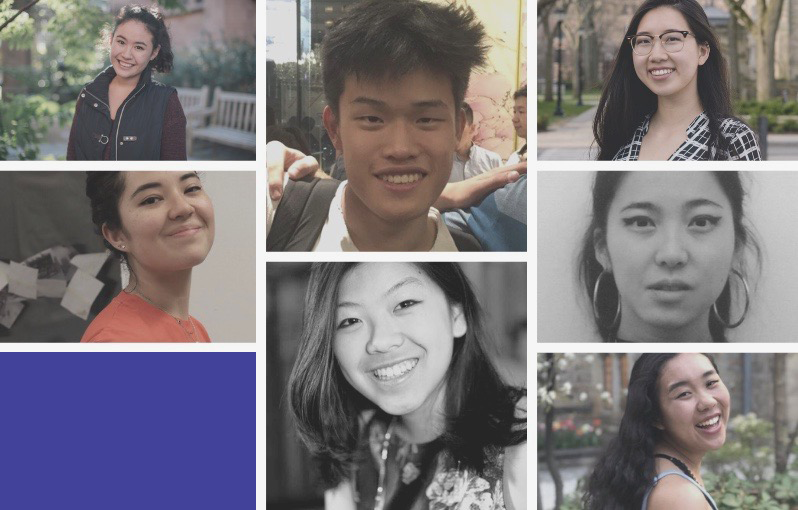 “Students have often expressed their frustration with the under/misrepresentation of Asian Americans in mainstream media, not feeling like they always had the means to tell their story,” says AACC director Joliana Yee, who conceptualized the program. “In launching this award program with Tsai CITY, it is my hope that our Asian American students will be empowered to use their voice to amplify the often untold and unseen lived experiences of the Asian American community.” The award program’s call for projects this fall was broad, inviting proposals for art pieces, musical compositions, films, podcasts, poetry, and other creative projects. Regardless of medium, applicants were challenged to broaden the representation of Asian American experiences. The project brief asked students to outline how their project would be innovative — defined as “exploring, understanding, and challenging existing systems so as to imagine what could be” — as well as how it would center underrepresented voices and be accessible to a wide audience. Five projects, offering a variety of lenses on Asian American identity, were selected in a process led by a panel of alumni: Nancy Yao Maasbach (SOM ’99), president of the Museum of Chinese in America; Art Priromprintr (YSD ’11), Manager of Dance Programming at The Kennedy Center; Ellen Su (YC ’13), co-founder and CEO of Wellinks and a CITY mentor-in-residence; and Kevin Winston (YC), CEO of Digital LA and founder and president of Yale in Hollywood. Through music, theater, film, photography, and audio/visual installation, students will collectively explore immigration and assimilation, mixed-race identity, family heritage, food, and more. Mark your calendars for March 2019, when these projects will debut — and in the meantime, look out for stories from CITY on the process behind the creation of these projects. Learn more about CITY here and get to know the AACC here.